Vampire Novels Biting the Dust? On Thursday, April 8, Swann Galleries will offer The Otto Penzler Collection of British Espionage and Thriller fiction. 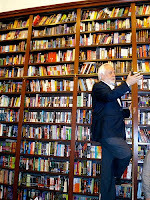 The sale represents a select portion of the private library of the well-known mystery fiction specialist and bookseller who amassed his collection over 40 years. Penzler befriended many noted authors, including Eric Ambler, Ken Follett, John Gardner, and others, who inscribed copies of their works. Among the best known of the British espionage works are Ian Fleming’s James Bond novels, the source material for the iconic films spanning the last several decades. The auction offers more than 25 such books, the most notable being a first edition of the first Bond book, Casino Royale, in near perfect condition, 1953 ($20,000 to $30,000); a fine copy of Moonraker, inscribed and signed by the author to Fleming collector Eileen M. Cond, 1955 ($15,000 to $25,000); and a signed limited edition of On Her Majesty’s Secret Service, the first novel published after the debut of the film series and an immediate bestseller on both sides of the Atlantic, 1963 ($6,000 to $9,000). 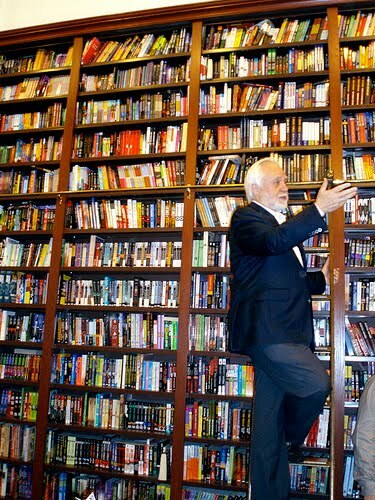 Other Fleming highlights include first editions of Live and Let Die, 1954 ($2,000 to $3,000); Diamonds are Forever, 1956 ($2,500 to $3,500); From Russia with Love, 1957 ($3,000 to $4,000); and two first editions in different bindings of Dr. No, 1958 ($3,000 to $4,000 for the pair). There is also a fascinating archive of correspondence between Fleming, illustrator Richard Chopping—who created many of the best known dust jacket images for the series—and others, containing details about jacket art, payment information and more, 62 letters in total, 1950s-60s ($12,000 to $18,000). The sale offers many James Bond novels written in the 1980s and 90s by John Gardner, including an original typescript for License Renewed, with editorial corrections in Gardner’s hand throughout, 1980 ($1,200 to $1,800); and signed copies of his first four Bond titles, inscribed to the Penzlers ($1,200 to $1,800 for the set). A run of works by Eric Ambler includes a rare first edition in the scarce dust jacket of Cause for Alarm, 1938, signed and inscribed to Penzler ($5,000 to $7,000); a first edition of Journey into Fear, 1940, which was made into the popular film noir starring Orson Welles and Joseph Cotton ($2,000 to $3,000); and signed first American editions of both books. Among notable first editions of Graham Greene's works are a copy of Stamboul Train, 1932 ($2,000 to $3,000); and a wartime printing of The Ministry of Fear, written during his Foreign Service appointment in West Africa, 1943 ($1,000 to $1,500). Also featured are several works by Dennis Wheatle and a selection of titles by John Le Carré, including a beautiful first edition of his first work, Call for the Dead, which introduced the character John Smiley, British Secret Service Agent, 1961, and a bright first English edition of his second book, A Murder of Quality, 1962 ($8,000 to $12,000 each); plus several signed editions. Among books signed and inscribed to Penzler are a first edition of Len Deighton’s first book, The Ipcress File, 1962 ($1,500 to $2,000); plus books by Desmond Bagley, Frederick Forsyth, and Ken Follett. Rounding out the sale are works by early masters of the genre, William Le Queux and E. Phillips Oppenheim, early 20th century authors who pioneered the spy novel and inspired Fleming, Greene and many others; plus books by Geoffrey Household, Francis Beeding, Manning Coles, Brian Freemantle, Andrew Garve, H.C. McNeile (known as Sapper), Baroness Orczy, Anthony Price, and more. More and more people are recognizing the need for nutritious, local, sustainable food, but organic options can be costly and the produce in most supermarkets is anything but local. In From Container to Kitchen, D.J. Herda shows that there is a way for urban dwellers to enjoy the benefits of traditional gardening and, for those even without yards, to maximize the harvest of fresh, healthy edibles. Herda is an award-winning freelance author, editor, and photojournalist who has written several thousand articles and more than eighty books. He is an avid organic gardener and test grower. With the enormous success of the Twilight series of vampire books and their spin-offs into a thousand similar titles, one has to ask the obvious: is it curtains for Vlad and all his impalers? It just may be. And the newest literary genre to take Publisher's Row by storm may indicate just that. But before I make that jump to conclusion, listen to what one major publisher's representative had to say to me recently. "Vampire books are a dime a dozen. We're no longer looking for novels true to the genre. We're looking for something different. If it doesn't stand out from the pack, we're not interested." What, you ask, is a mash-up? If you have to ask, it's safe to assume you haven't yet gotten your hands on a copy of the surprisingly successful Pride and Prejudice and Zombies, a work centered around a classic historical figure meeting vampires, zombies, and other things that go bump in the night. It has been a year since Pride and Prejudice and Zombies was unleashed upon the unsuspecting masses. Instead of running for their lives, readers ran to their favorite bookstores--in droves--in order to see what the combining of two literary figures, Jane Austen and the much more contemporary Seth Grahame-Smith, would lead to. What it led to, of course, is the first literary mash-up from Quirk Books. The result has been a steady flow of unearthly creatures set against the backdrop of the literary classics. It's a curious combination, as Carol Memmott of USA Today put it, of "classic literary icons doing battle with B-movie demons. "In Sherri Browning Erwin's Jane Slayre (Gallery Books), hitting stores April 13, Charlotte Brontë's plain Jane Eyre is an indomitable zombie killer." There have been (or soon will be) other quirky titles, as well, such as Adventures of Huckleberry Finn and Zombie Jim (Coscom Entertainment) and Queen Victoria: Demon Hunter (Eos). All of which leads one to ask, Et tu, Vlade? And if the latest literary genre trend (remember "chick lit"?) is destined for a quick if showy demise, the question remains. What's going to step forward to take its place?